We’ve been searching for a place to call home for about 5 months now and couldn’t feel luckier that we found the place we did. I’m so excited to start nesting, decorating the nursery and preparing for our little girl to join our lives in early February. When I started thinking about the nursery and how I wanted it to look, I couldn’t help but think French chic. We love everything about Paris…the architecture, the food, the wine, the beauty of the language. So going with a French chic nursery theme for our little one was right up my alley. 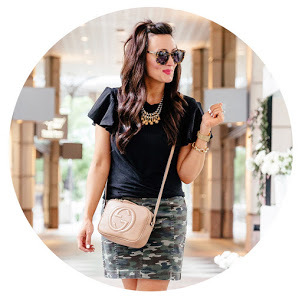 Whites, golds, blush pinks & grays – a color scheme I’m used to working with! One of the hardest decisions for me when thinking about decorating the nursery was wall decor. Picking art work is HARD. Well, maybe not for you, but for me it is! I’m a perfectionist, so I want it to look perfect, go together, blend well and be pretty all at the same time. That’s where Minted came in. I’ve always been a huge fan of the website Minted – Holiday cards, artwork, invitations, they always do SUCH a great job with everything they create. The website is easy, you can see your designs as you create them AND they have so many different options when it comes to style. After playing around on the website, I went with the four wall decor pieces above! 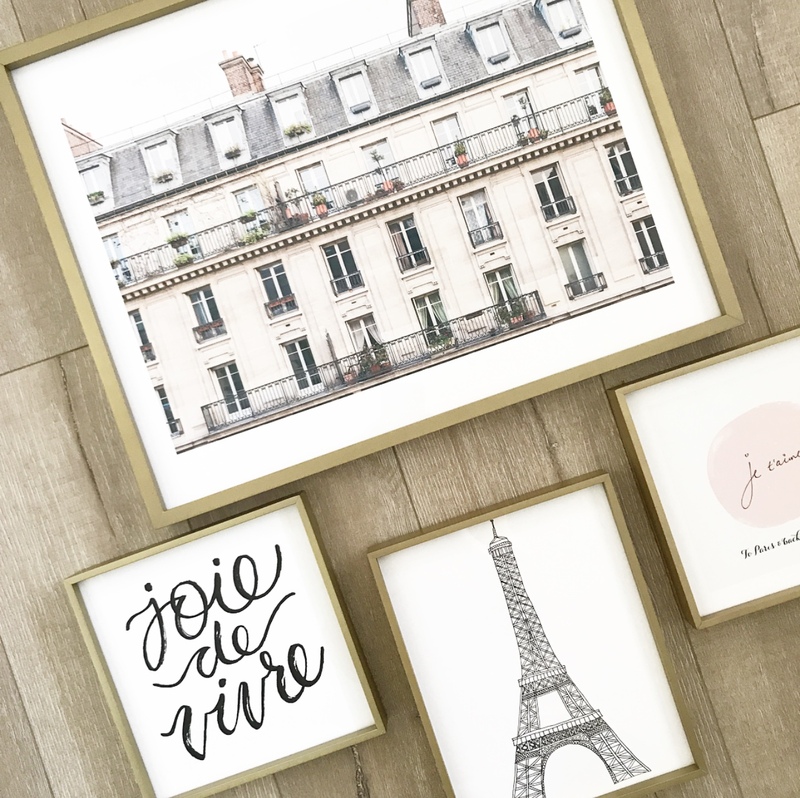 Being able to personalize an art piece for a nursery and pick which frame you want for each piece is just another amazing perk of shopping with Minted. 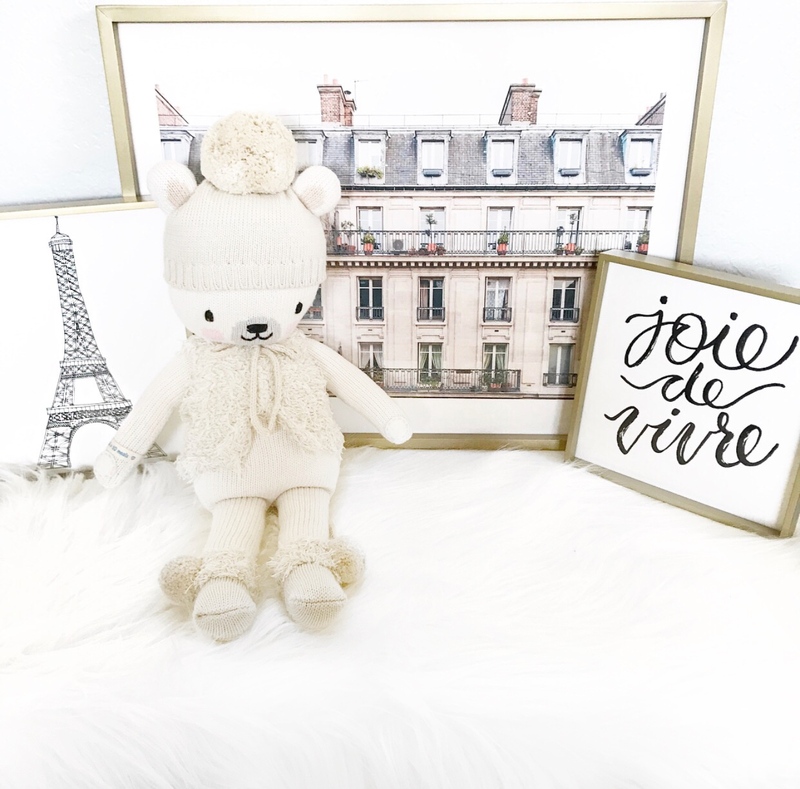 In addition to the gorgeous French inspired artwork, I’m going to be adding this adorable Cuddle + Kind doll to one of the shelves in her nursery. HOW cute is this handmade polar bear doll?! Every single doll this company creates is so well made and absolutely beautiful. But seriously, if you are one of my friends and you have a kid, this is what they are getting from me for the holidays! Not only are the dolls adorable, they are a company that gives back. Every doll purchased provides 10 meals to children in need. So not only are you getting a beautiful hand crafted doll, you are giving back. I don’t know about you, but I love giving gifts like that! I love all the art work pieces but one of my favorites has got to be this simple “joie de vivre” print. Joie de vivre means “joy of living” or “enjoyment of life” in french. This little girl is going to bring so much MORE joy into our lives, so this saying and print is the perfect addition to her room. Here are some other pieces I’m loving and thinking about getting for the nursery. Any other great ideas?! Things I NEED to get, have, can’t live without?! Do I need a bookcase? What did you love having in your baby room?! Would love all the help & advice you guys have! Make sure you check back in on Wednesday and Friday for some more holiday gift guides and great Black Friday deals! Can you share the sizes you ordered for the various prints?